How much is Marty Ingels Worth? Marty Ingels net worth: Marty Ingels was an American actor, comedian, and agent who had a net worth of $25 million. Marty Ingels was born in Brooklyn, New York in March 1936 and passed away in October 2015. He was best known as a co-star of the 1960s TV series I'm Dickens, He's Fenster and as a voice actor for many commercials and cartoons. Ingels starred as Arch Fenster in the television series I'm Dickens, He's Fenster from 1962 to 1963. In 1967 he starred as Normal Krump in The Phyllis Diller Show. Ingels voiced the role of Beegle Beagle and Pac-Man. His uniquely raspy voice was used in voice-overs and commercials for Paul Masson wines. Ingels also starred in the movies Armored Command, The Horizontal Lieutenant, Wild and Wonderful, The Busy Body, A Guide for the Married Man, For Singles Only, The Picasso Summer, If it's Tuesday, This Must Be Belgium, Linda Lovelace for President, and Instant Karma. Marty married actress and singer Shirley Jones in 1977. 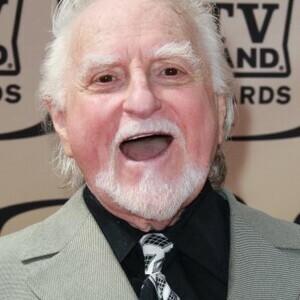 Marty Ingels passed away on October 21, 2015 at 79 years old from a massive stroke.